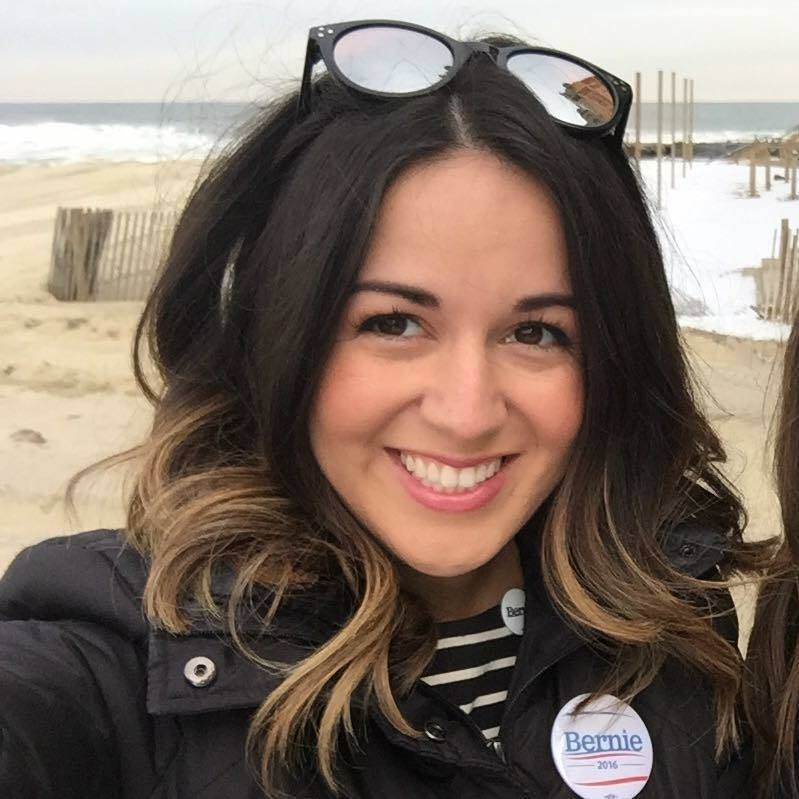 The vice chairwoman of the Brick Township Democratic organization has filed a lawsuit against a sitting council member in Toms River, accusing him of operating “fake news” websites which reported that she had obtained a job with the municipal government in Brick. Robyn Gedrich serves as a volunteer member of the Brick Township Housing Authority, but does not now, nor has she ever, worked for Brick Township, Mayor John Ducey confirmed Wednesday. Toms River Councilman Daniel Rodrick – who switched from the Democratic party to the Republican party earlier this year – has been served with a lawsuit that alleges he operated several Republican-aligned websites and Facebook pages. 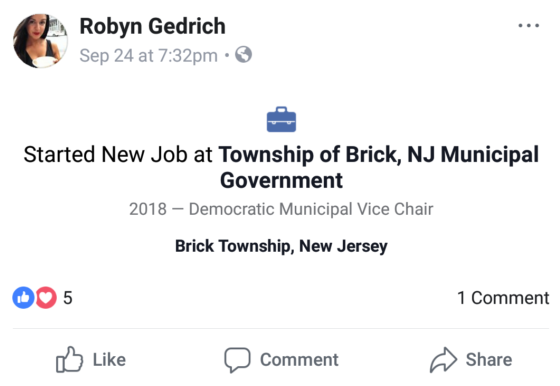 One of those websites, on which bylines did not refer to anyone’s legal name, ran a story titled: “Job Given To Mayor Ducey’s New Democratic Party Underboss.” It included a screenshot from Gedrich’s Facebook account – also included with this story – that announces a job with Brick Township. The job, however, is a volunteer position as Democratic vice-chair, which has no connection with the municipal government itself. Gedrich, by way of an examination of her social media accounts, has never claimed to hold a position with the township. The lawsuit was served on Rodrick in a bizarre interruption to the township council meeting Tuesday night. A man rushed up to the dais in the middle of the meeting and said, “Councilman, you’ve been served with a lawsuit regarding websites serving defamation.” The man then refused to identify who he was when asked by the council president. It was also unknown who posted a close-up video of Rodrick during the encounter, however sources said the photographer was Paul Williams, a freelance videographer. Rodrick did not appear to react to the incident. Gedrich told Shorebeat she cannot comment on the matter because she is being represented by an attorney. A copy of the lawsuit, obtained by Shorebeat, says local Democratic operative Jon Salonis – a former Brick Township employee – personally informed a “co-worker” that he was aware of the fact that a website known as the Ocean County Chronicle was operated by Rodrick, along with several other sites. Salonis, himself, once operated a Democrat-aligned website known as Jersey Shore Insider. Salonis, in an e-mail to Shorebeat, said the lawsuit’s allegation is not accurate. “I did NOT speak to any coworker or anyone at all about Mr. Rodrick owning any website and the lawsuit is completely frivolous,” he said. The purpose of the Chronicle website, the lawsuit alleges, is to “undermine his political enemies” and “promote his own political interests,” referring to Rodrick. The author of the article claiming Gedrich obtained a paid position with Brick Township acted “in reckless disregard of the truth,” the lawsuit states. Legal experts tell Shorebeat the suit would traditionally be considered a long shot, however courts have wavered on whether blogs or websites operated by political figures, rather than credentialed journalists, are covered under New Jersey’s fair report privilege, which widely shields news publications from civil liability. The lawsuit seeks undisclosed compensatory and punitive damages for defamation and false light.